Hot Hat Styles + What is Like To Know It? Truth be told, I've turned a bit hat-obsessed. Why it took me this long I'm not sure, but my wool fedoras and wide-brim hats have moved to front and center of the closet now. They're just SO easy. For someone like me with long and thick hair, being able to throw on a hat and head out the door makes things a little easier from time to time. I'm sure that you've noticed how a lot of my pictures on Instagram feature a line that looks something like: @liketoknow.it www.liketk.it/1XFTO #liketkit. This my friends, is Like To Know It - the program that makes shopping (especially now around the holidays!) a million times easier for you! I've broken down how the program works below and how you'll benefit from this free resource! But before we get into that, are you ready to jump on the hat train? I've rounded up the hottest styles for this season, and linked them right here for you - Just click on the picture to shop the product! That line means that I've linked the exact products pictured for you to be able to shop them with one click. By registering with LTK (it's free! ), when you see a picture with that coding and 'like' it, you will receive an email to your inbox with direct links to those products to shop online! You can also copy and paste the direct link in the caption (i.e. www.liketk.it/1XFTO) to go straight to the product links as well - heads up that it's case-sensitive, so be sure to copy exactly as it appears! Register. 'Like' on Instagram. Get the product info delivered via email - you can also access it by just logging into your Like to Know It account. Easy enough, right? Here's an example of what your email would look like (left) - you can simply click the products tiles under the pictures go directly to the products! Ah-mah-zing, yeah? For some of my posts, I will include items that are similar to those pictured as well if they are low in stock or sold out. Still confused about anything relating to LTK? Submit your questions in the comments section below and I'll respond to each of them! Is it sad to admit that I'm already counting down until the weekend? i'm loving hats lately too!! love the one you styled! Loving the way you style hats! Wide brim styles are my favorite! I'm a sucker for hats in general! I love 'em all! Fedoras and baseball style caps are my go-to! I've totally been into hats lately!! Love these picks!!! Loving all your hat options! 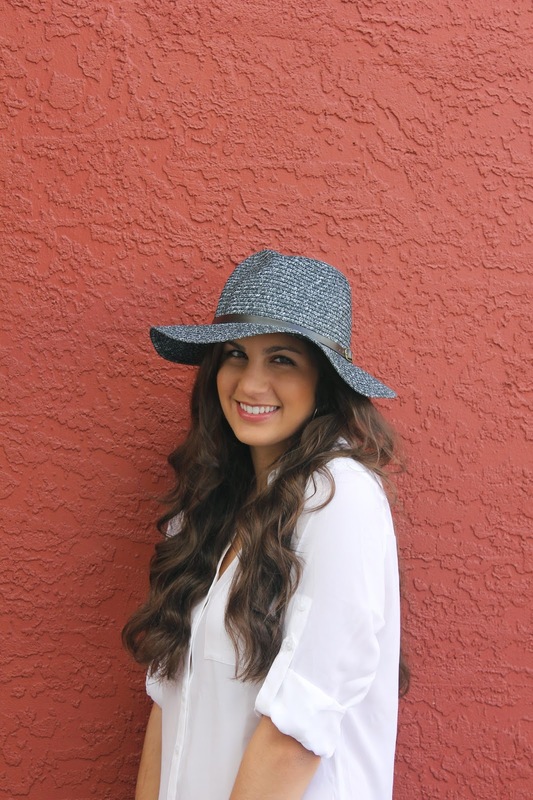 Im really into wool floppy hats right now and have one in each color :) Thanks for sharing! Love hte hats and great breakdown of LTK!! textured wool hats are my favorite right now! I'm all about the panama style! Loving these hats!! You have perfect hair for hats! 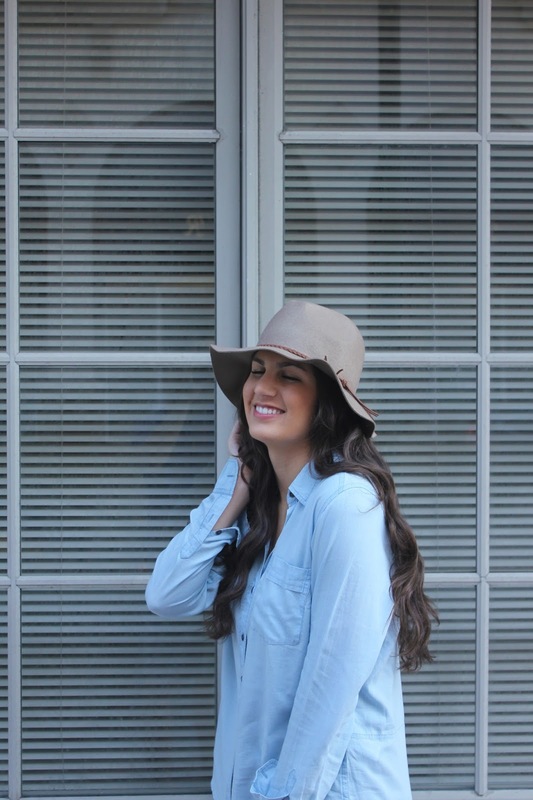 I can't get enough of hats this season and I especially love the grey one! You look adorable in hats! I love the maroon hat! Darling hats! I'm hat obsessed as well! Also, great breakdown of LTK! love love love the hat selection!! I've been on a major hat binge too. Also - love the LTK breakdown. great idea! !